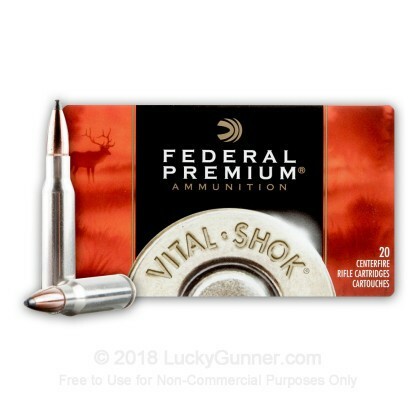 This powerful hunting ammunition from Federal's Vital-Shok series gives your .308 Winchester/7.62 NATO rifle the ability to down even big game like elk with one well placed shot. 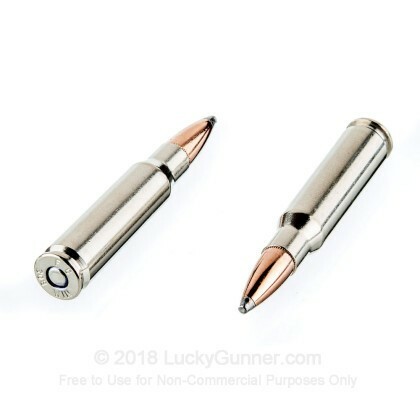 These rounds fire the Nosler Partition bullet, a classic soft point design with a heavy rear core that provides massive penetration and helps the lighter frontal core expand into the mushroom shape needed to down your quarry. 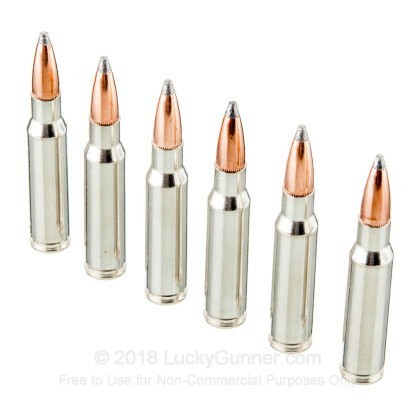 Each round in this box of 20 fires a 180 grain version of the Partition bullet at a muzzle velocity of 2,570 feet per second. 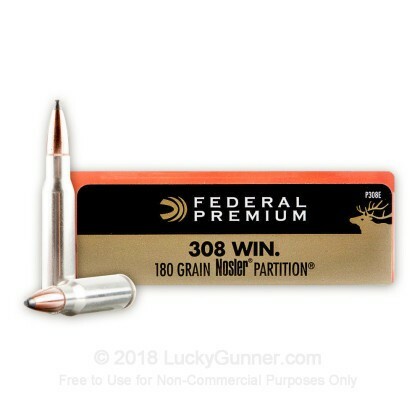 Like other .308 loads, they are very accurate at long range. 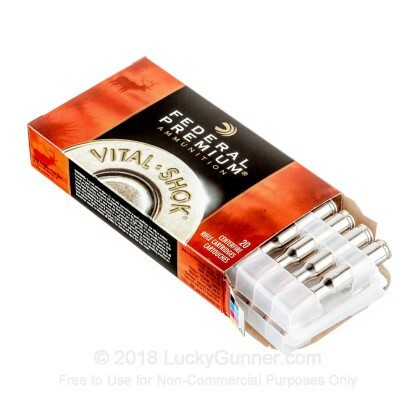 Federal Vital-Shok ammo is loaded in Anoka, Minnesota using non-corrosive Boxer primers and brass cases. 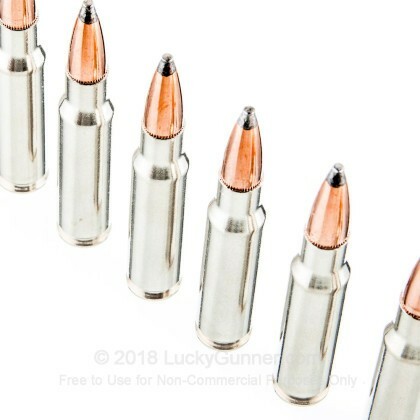 Nosler bullets are made in Bend, Oregon.